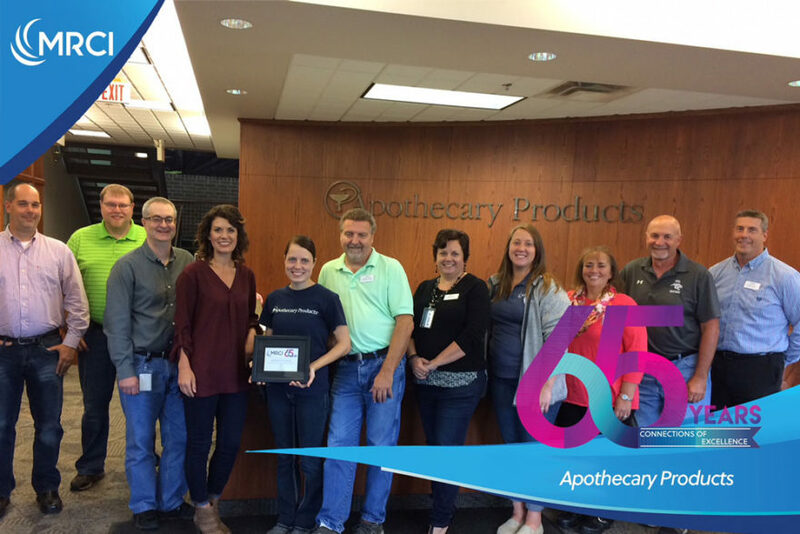 Burnsville, Minnesota – Apothecary Products is proud to be recently be recognized by MRCI as a recipient of a Connections of Excellence Award. MRCI honors businesses/organizations this designation for excelling at providing innovative and genuine opportunities for individuals with disabilities or disadvantages. Apothecary Products has had a long-standing relationship with MRCI providing on-campus work opportunities as well as job training opportunities at MRCI locations throughout the state. Learn more about MRCI at https://www.mrciworksource.org.